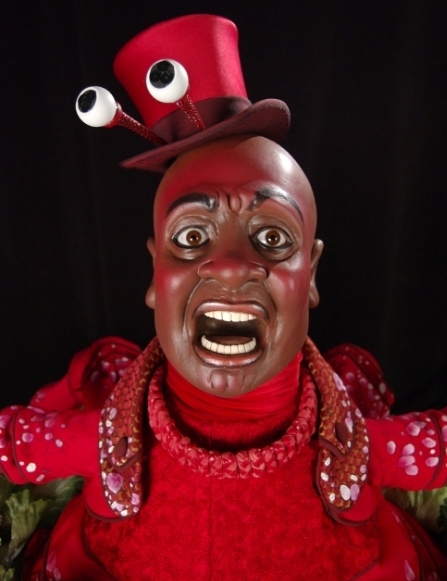 Sebastian is a puppeteered character prop built for the Broadway version of The Little Mermaid by Disney Theatrical Group. 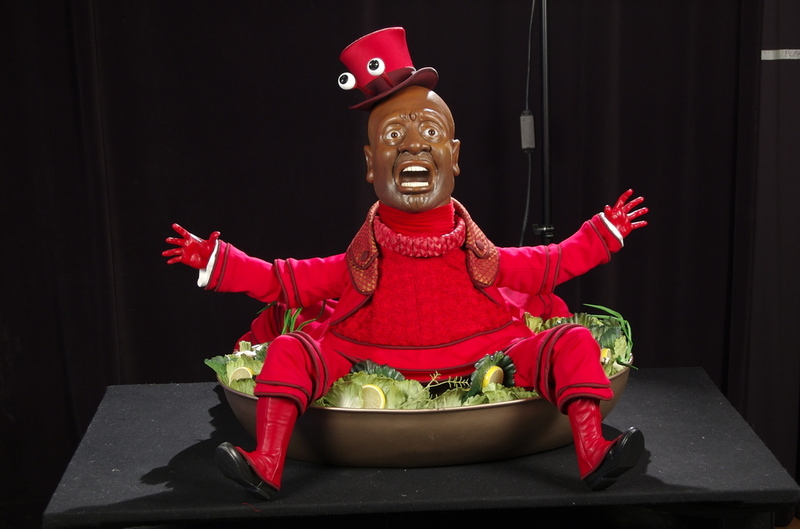 (Left) Actor Tituss Burgess as Sebastian after whose likeness the puppet (right) was built. Artist Tim Daly preparing mold to make head casting. Sebastian's sculpted arms and legs awaiting casting. 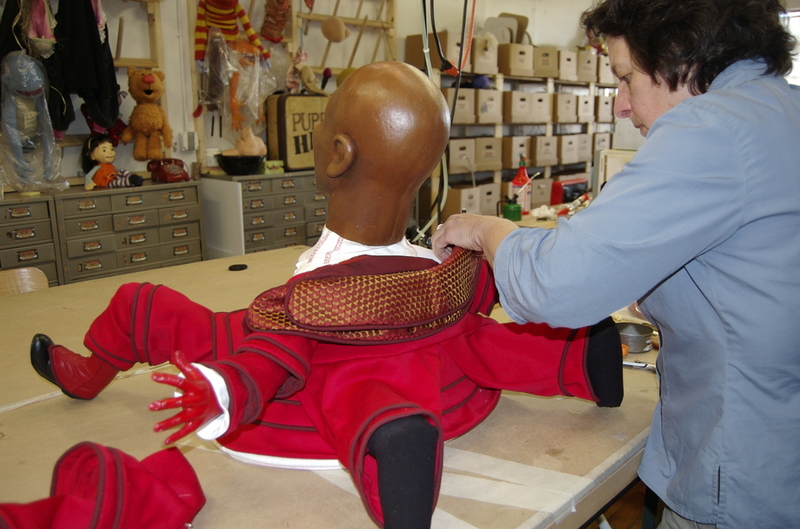 Artist Henri Ewaskio making a final fitting for the puppet costume. Completed Sebastian puppet in his bed/bowl of lettuce. On stage image of Sebastian puppet as he is revealed.